The final framework released for the Fishermans Bend precinct, Australia’s largest urban renewal project, raises the bar on its environmental credentials. The final Fishermans Bend Framework builds on the commitments made in the initial draft requiring that all developments in the new precinct achieve a minimum 4 Star Green Star rating, with buildings over 5,000sqm to be built to a 5 Star Green Star standard. The precinct is also being made more inclusive with the introduction of a social housing uplift scheme. Congratulating the Andrews Government on its close engagement with industry and the community throughout the consultation period, GBCA Head of Public Affairs & Membership Jonathan Cartledge says that the Victorian Government has embraced the Green Star – Communities model and requires even more environmental rigour at Fishermans Bend with the requirements increased to a 5 Star Green Star rating for large-scale buildings. While welcoming the decision to raise the site’s environmental sustainability credentials to meet 5 Star Green Star or equivalent standards, Cartledge cautioned that independent third-party certification from the GBCA was vital to provide the community confidence that these goals are being met while bringing transparency to the assessment process. Independent certification provides assurance and integrity, unlike unverifiable claims of ‘equivalency’, which will risk undermining the bold vision set out for Fishermans Bend. According to Cartledge, Green Star is Australia’s only holistic rating system for the sustainable design, construction and performance of buildings, fitouts and communities. “A holistic approach to sustainability is multifaceted, and it is encouraging to see the government also promoting social and economic sustainability outcomes through commitments to social and affordable housing and a focus on job creation." 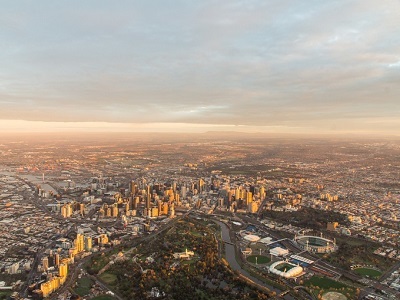 “These planning controls enshrine environmental and social sustainability at the heart of Fishermans Bend as a site that will define Melbourne’s future, embracing its eight sustainability goals," he says. “The GBCA believes government must lead by example in requiring the highest possible standards for any new developments on government-owned land in Fishermans Bend," says Cartledge.